Carly Fiorina abortion video: She just didn't tell the truth. 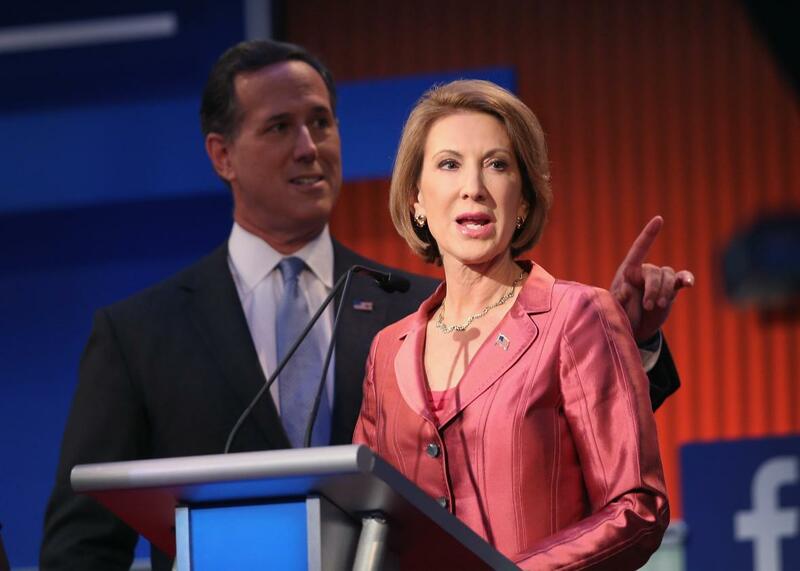 Carly Fiorina, pictured at the August Fox News debate, still cannot produce the abortion video she claims she saw. So far, the video Fiorina described has not been made public. This latest video most definitely is not it. The video, titled “Carly Fiorina was right” (warning: extremely graphic), was provided by the Center for Bio-Ethical Reform. They are the group that provided an image of a fetus, moving slightly, that is used by the Center for Medical Progress in one of their videos. This new video shows the context: The fetus is pulled from a woman and placed in a bowl. At no point does anyone say, “We have to keep it alive to harvest its brain.” There is no sound. There is no indication that we are inside a Planned Parenthood–affiliated clinic. The only new information this video adds is the revelation that the fetus came out of a woman’s body. If that surprises you, then you have no right to weigh in on debates over women’s health care. Gregg Cunningham of the Center for Bio-Ethical Reform, who put this video online, “declined to identify the date, location or authors of the video in an interview with TIME Monday night,” Michael Scherer at Time reports. “Cunningham says he is confident the procedure was an abortion, and not a miscarriage, owing to the lack of medical treatment offered to the fetus. He said he estimated the age of the fetus at about 17 and a half weeks.” Seventeen-and-a-half weeks means that the fetus is pre-viability; also, Cunningham is not a doctor. While Gunter couldn’t rule out abortion completely, noting that that there was a remote possibility that this is “an atypical technique,” she emphasized that “unless they produce the doctor that did it,” we should be skeptical. Cunningham declines to provide the doctor’s identity, claiming “confidentiality,” even though a doctor speaking broadly about his work violates no one’s confidentiality. Apparently, violating the woman’s privacy—which this video does—is no problem at all. The Center for Bio-Ethical Reform is an anti-abortion group that provides images of abortion, fetuses, and medical instruments in order to make abortion look gross and scary. Childbirth is also gross and scary. And that’s what you’re almost certainly seeing in this video.